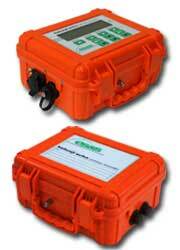 The Kelunji EchoPro SMA can be used for structural monitoring, blast and other vibration monitoring. It can record continuously or record only events above a certain level of ground motion, or when an above average signal is detected. The EchoPro is simple to use, easy to install and maintain, light and robust. Easily networkable for data telemetry via Ethernet. 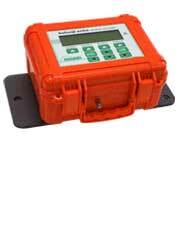 The Kelunji EchoPro can be used to log data from almost any type of sensor in either continuous or triggered mode, with all data time-stamped by GPS and perfectly synchronised. With options of 6-channel and 12-channel recording, almost limitless storage via USB, and options for display and power, the EchoPro is the most user-friendly and flexible seismograph in the world today. Perfect for portable earthquake and other vibration monitoring, with high dynamic range 24-bit digitisers sampling data at up to 2000 samples per second. Designed to advance the game in blast monitoring. 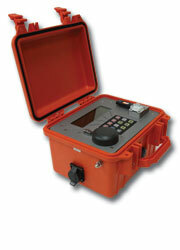 Improve your blast recording resolution and sensitivity by a factor of over 4000 with EchoPro. With GPS time-locked recording and USB storage, you can set recorders to run all day, recording continuously and triggering, with up to 6 channels recorded at 2kHz from your geophone, accelerometer, and/or microphone.